An Example world map, showing a simple outline of world map. 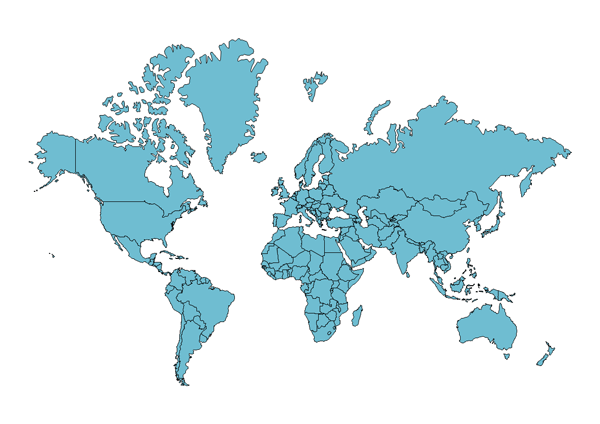 Edraw includes high quality world maps in vector format. You can directly use the map as a whole, or can use each country outline respectively. You can also edit on the template and customize to your own in just minutes. It can be exported to SVG and other graphic formats. 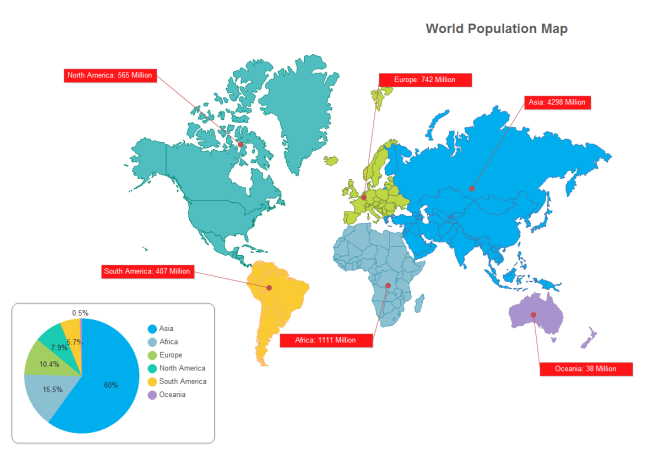 The world map is vector and can be edited or export to svg format. Edraw geo mapping is powerful and flexible. View more geo map examples to see the great results that Edraw has achieved. Please click here to free download Edraw Max Software. Here are more world map outline examples for different purposes. 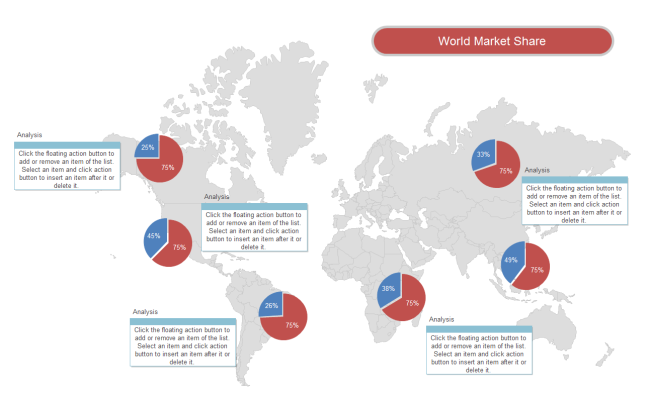 You can use these world maps to create sales reports, make teaching materials, or produce world map ppt templates.